Specializing in search engine optimized responsive websites for companies that would benefit from higher ranks in search engines. Any business that provides a home service: glass companies, window contractors, doctors, lawyers, plumbers, electricians can benefit from having a website that ranks high in search results for their desired keywords. Depending on your business category these rankings can mean hundreds of thousands to millions of dollars a year. If your customer’s search google, bing and other search engines for your services then you need to make sure your site will get in front of them. With the amount of companies using SEO services competition has gotten tougher to rank for highly competitive keywords. Using proper on page and off page seo strategies will help your website get to the top of google, yahoo and bing where it belongs. Seo is not a one size fits all. Although we offer common packages that can benefit any website we also provide free video seo audits where we look at your current site, see what keywords it’s already ranking for and how to improve those positions. To see an example watch the video below. If you tell us a little about your company we can research your competitors and market and see how difficult it will be to rank for your keywords. Feel Free to Contact Us for a free website SEO audit and our advice on changes that can be made to help increase your rankings. If you tell us a little about your company we can research your competitors and market and see how difficult it will be to rank for your keywords. Feel Free to Contact Us for a free website SEO audit and our advice on changes that can be made to help increase your rankings. What is SEO and why does my site need to be optimized? SEO stands for “Search Engine Optimization” or “Search Engine Optimizer”. SEO is a broad term for all of the different strategies for increasing the visibility of your company webpage or blog. We specialize in getting your product or service right in front of the customers who are searching. We use keyword research data and optimize your landing pages to move up in the SERPs (Search Engine Results Pages). Lets go over some of the methods that Super SEO utilizes to help you get in front of more high paying clients. When we talk about visibility, we mean how high up the SERPs your website appears for certain search terms in the ‘organic’ results. 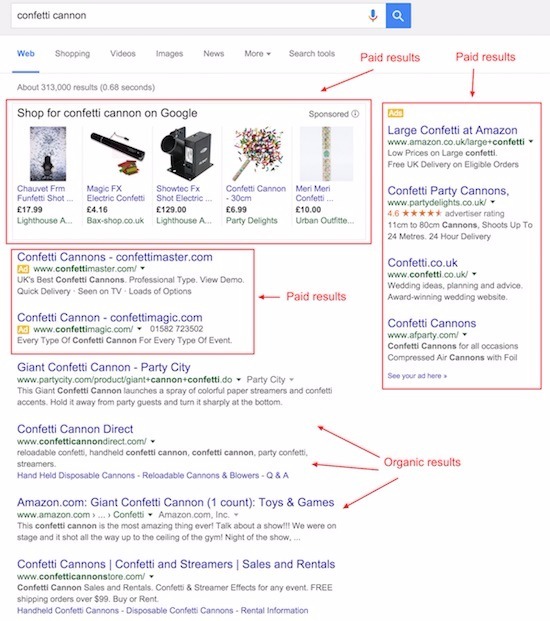 Organic results are those that appear in regular search results section and not in the paid ads section. How can SEO help my company website? Depending on how your customers search for your services online we can determine how much of a benefit your website will bring to the table. If your website is a main landing and selling point to your clients then the amount of visitors search engines bring to your website will account for a large % of your profits. Even if you have a full work load there are other ways that a high ranking website can increase profits. For example, if your daily call amount increased by 30% then you could up your prices and still have the same amount of work and be making more money for that work. You won’t be afraid to lose a customer here and there due to price because you will have so many new customers. In 2016, Service Company Website Studies suggested 64% of all web traffic comes from the organic results, compared to 2% from social media, 6% from paid ads, 12% direct to customer and 15% from other referral sources. Of all the organic search traffic, in 2016 it was found that Google accounts for more than 90% of global organic search traffic. So you can see how important it is to have a strong presence on Google. The top five results account for 67.60% of all clicks and the results from six to 10 account for only 3.73%. You can see how important it is to have the top position in the SERPs. A first page ranking can mean literally hundreds of thousands of dollars for contractors, doctors, lawyers and other service companies.